Millions of people all over the world are learning about infrared therapy. Statistics show that this number is growing every day. There's a good reason for the increasing popularity of this technique. From infrared therapy, we enjoy an abundance of health benefits. These include cardiovascular benefits, improved circulation, epidermal stimulation, cellular detoxification, pain relief, weight reduction, and stress relief. Not only scientists but even medical insurance experts have approved infrared sauna modalities to improve skin circulation, stimulate vasodilatation, and provide relief from the pain of muscle spasm. Yet other doctors and scientists are studying the benefits of infrared therapy to treat chronic skin wounds that will not heal, progressive osteoarthritis, neck pain, acne, and other ailments. Utilizing today's advanced technological progress has made infrared therapy affordable and available for everyone. You will come to believe that infrared saunas are true wellness temples. These types of saunas provide a lot of luxury for your brief escape from life's daily pressures. Many satisfied sauna users attest that their revitalization experiences offer tranquility to the mind and restoration of the body. These people will tell you that they have taken proactive steps to improve their health, and that they are enjoying the positive benefits of long-term wellbeing. We have discovered that the unique effects of infrared therapy work by combining elements of water, air, cold, and heat. Infrared therapy succeeds because it interfaces these elements so that you can increase your fitness and vitality, fight aging, and elevate your sauna experience to the level of a natural beauty treatment. If you have just begun to appreciate the infrared sauna, then this site is where you will discover how you can optimize the health benefits you already enjoy by stepping into new experiences available in the infrared cabin. Have you already been initiated into the benefits of infrared sauna therapy? If you are no longer a novice, then you are learning that the infrared cabin has much to offer besides simply perspiring. You will discover that you can enhance your physical performance. You will realize that you can actually cleanse your body of toxins by combining the aromatic and restorative benefits of tea with your sauna. 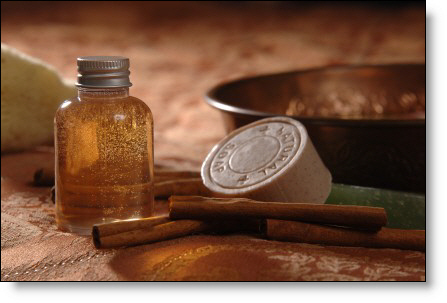 You will realize the delight of incorporating fragrant and calming herbs to your sauna routine. Many users are pleased to discover that use of the sauna facilitates weight loss. If you are an athlete, you will learn that sauna therapy in tandem with your workout will reconstitute your body to its necessary levels of electrolytes and essential minerals. Would you like to join the numbers of people who have learned about the astonishing effects of the sauna? These effects occur through alternating sessions of temperature extremes. By exposing our bodies to both hot and cold temperatures we find that the sauna truly challenges your physical self and your mental or spiritual inner health. Users agree that the infrared sauna not only effectively cleanses your body; it also reinforces your physicality and revitalizes your soul. Through regular usage of the infrared sauna, you are supplying your body with the best possible opportunities for rejuvenation. Your inner core requires a stable warmth-management system, and the infrared sauna provides a positive effect on that central core. Another benefit that regular users enjoy is the stimulation of self-healing abilities. Those who utilize the infrared sauna share a belief that our body’s natural ability to rebound from illness or injury is enhanced. Yet other users insist that they appreciate the sauna as an adjunctive beauty product. You will begin to see your skin glow, and when you look into the mirror you will know that your appearance has improved. If you are concerned about your body’s hormone balance, then you will notice the positive influence you gain from regular use of the infrared sauna. You will begin to feel more energized. Many users agree that the sauna provides overall sensations of pleasure and contentment. The theory of alternating heat-cold therapy actually comes to us from the long-ago people of Finland. Centuries ago, they dug into the cold slopes of their mountains during the long winters to escape the harshness of their environment. These dwellings included stone stoves, and they discovered that by splashing the stones with water they created an atmosphere of warmth. As their daily activities forced them out into the cold they noticed improvements in their skin texture, their energy level, and their overall happiness. Step into the wondrous world of infrared sauna therapy. Discover delightful ways to enhance your mind, body, and soul. As you become initiated into its benefits, you will join the many satisfied people who have found the secret of radiance in their lives.